Players, coaches, officials, parents and spectators are to conduct themselves in a manner that "Honors the Game" and demonstrates respect to other players, coaches, officials, parents, spectators and fans. 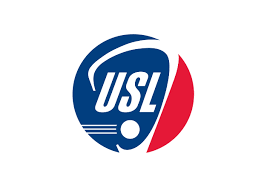 In becoming a member of the lacrosse community an individual assumes certain obligations and responsibilities to the game of lacrosse and its participants. The essential elements in this "Code of Conduct" are HONESTY and INTEGRITY. Those who conduct themselves in a manner that reflects these elements will bring credit to the sport of lacrosse, themselves, their team and their organization. Sportsmanship and teaching the concepts of fair play are essential to the game and must be taught at all levels and developed both at home and on the field during practices and games. The value of good sportsmanship, the concepts of fair play, and the skills of the game should always be placed above wining. The safety and welfare of the players are of primary importance. Coaches must always be aware of the tremendous influence they have on their players. They are to strive to be positive role models in dealing with young people, as well as adults. Coaches should always demonstrate positive behaviors and reinforce them to players, parents, officials and spectators alike. Players should be specifically encouraged and positively reinforced by coaches to demonstrate respect for teammates, opponents, officials and spectators. Players should always demonstrate positive behavior and respect toward teammates, opponents, coaches, officials, parents and spectators. Coaches, players, parents and spectators are expected to demonstrate the utmost respect for officials and reinforce that respect to players/teammates. Coaches are also expected to educate their players as to the important role of lacrosse officials and reinforce the ideal of respect for the official to players/teammates. Grievances or misunderstandings between coaches, officials or any other parties involved with the sport should be communicated through the proper channels and procedures, never on or about the field of play in view of spectators or participants. Officials are professionals and are therefore expected to conduct themselves as such and in a manner that demonstrates total impartiality, courtesy and fairness to all parties. Spectators involved with the game must never permit anyone to openly or maliciously criticize, badger, harass or threaten an official, coach, player or opponent. Coaches must be able to demonstrate a solid knowledge of the rules of lacrosse, and should adhere to the rules in both the letter and the spirit of the game. Coaches should provide a basic knowledge of the rules to both players and spectators within his/her program. Attempts to manipulate rules in an effort to take unfair advantage of an opponent, or to teach deliberate unsportsmanlike conduct, is considered unacceptable conduct. Eligibility requirements, at all levels of the game, must be followed. Rules and requirements such as age, previous level of participation, team transfers, etc, have been established to encourage and maximize participation, fair play and to promote safety.